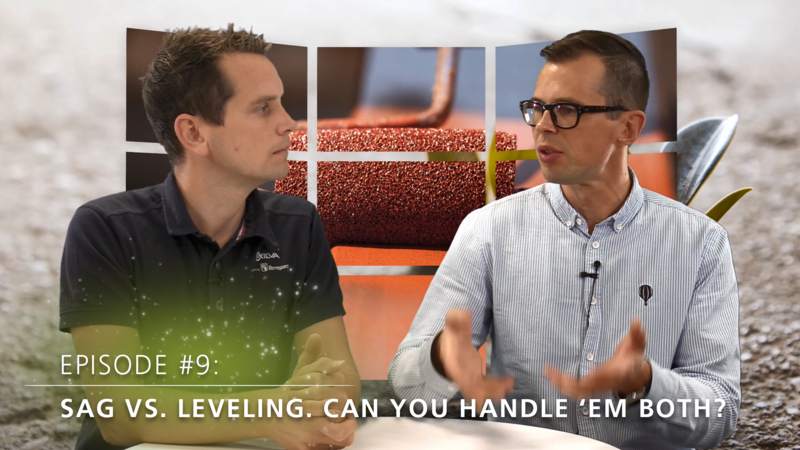 [VIDEO] Topic tuesday: Sag vs. leveling. Can you handle 'em both? A fast viscosity recovery is good, and some times crucial, but that would also affect the leveling, right? In this weeks Topic Tuesday, we discuss how you can cope with the issue of getting fast recovery - and avoid sag - while getting your coating layer in level. We may also have some exciting ideas for you if you have problems with cracking.